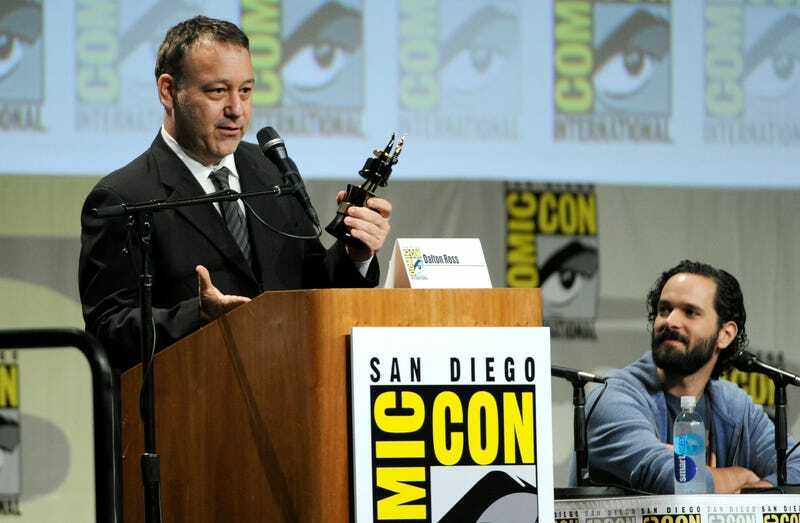 Sam Raimi and Rob Tapert are joining with Fede Alvarez and Rodo Sayagues on the upcoming thriller A Man in the Dark. The set-up seems similar to the 2013 Evil Dead, which was produced by Raimi and Tapert, written by Alverez and Sayagues, and directed by Alvarez. All the same roles will be filled by all the same people in A Man in the Dark, and your opinion on that is going to rest pretty heavily on how you felt about that team's output last year. The story centers on a trio of teens who get away with perfectly planned home robberies and have targeted a reclusive blind man with millions of dollars in hiding. But as soon as they break into his home, the tables are turned and they find themselves fighting for survival against a psychopath.